(Bloomberg Businessweek) -- In Japan, royal successions are emotionally charged moments, turning points in a shared national narrative. On April 30, the Heisei era, which started in 1989 with the death of the wartime monarch Hirohito, will end with the abdication of Emperor Akihito. 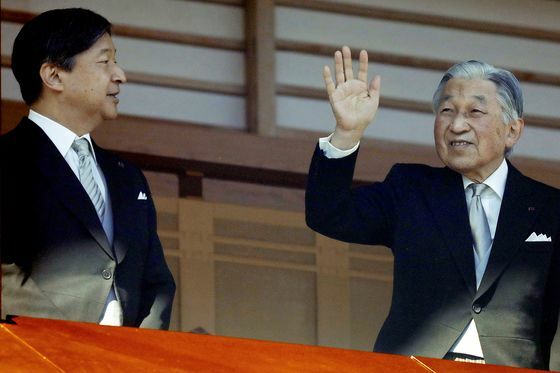 The next day, the 85-year-old is expected to present his son, Crown Prince Naruhito, with an ancient sword, mirror, and jewel—the regalia called the Three Sacred Treasures—reprising a ritual that’s played out for centuries within the imperial house of Japan. Three decades is but a blink in the fullness of Japanese history, yet there’s a widespread sense that the country has had an epically bad run. Its reputation as an economic juggernaut, earned during its rapid modernization in the late 19th century Meiji era and stunning post-World War II rebound, took a hit from financial crises, deflation scares, exploding public debt, and, above all, the inexorable rise of China, which blew by Japan as the world’s No. 2 economy and is now the dominant geopolitical force in Asia. Japan has certainly lost the late 1980s bubble-economy swagger that once terrified Western chief executive officers. Yet neither is the world’s third-biggest economy some sort of Mad Max economic dystopia. Japan remains a rich country, home to some of the best infrastructure and fastest bullet trains, leading auto and robotics industries, and one of the highest life expectancy rates. It’s a financial superpower—the largest creditor nation and provider of investment and savings, with net external assets of almost $3 trillion. Japan’s megabanks are the foremost lenders in Asia outside of China. 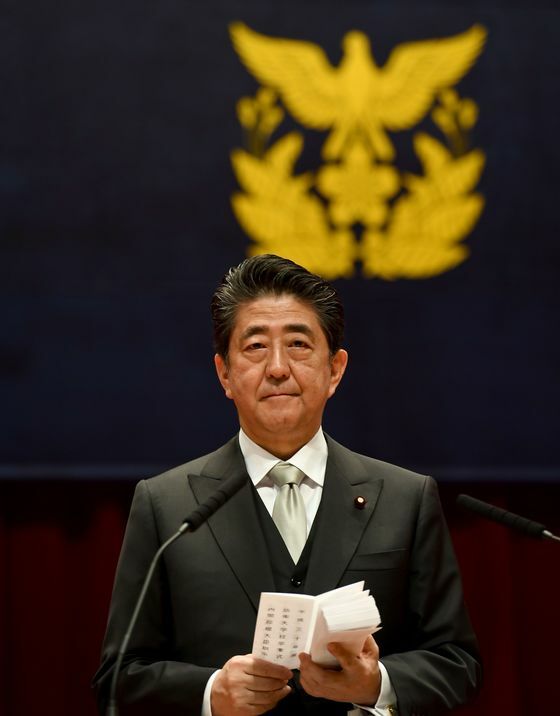 At the moment, Japan looks like an island of stability among developed nations that are riven by polarized debates about unfettered capital flows, free trade, and open borders. Ordinary Japanese aren’t being torn asunder by American-scale income inequality and culture wars, grappling with a slow-motion train wreck like Brexit, or coping with French-style yellow vest worker protests on the streets of Tokyo. What did make the Heisei (“peace” in Japanese) era such a wild and disorienting ride was the convergence of perplexing challenges—high-speed automation, a rapidly aging citizenry, stagnant demand, stubborn debts—that arrived early in Japan’s economic evolution. These furies will preoccupy the U.S., Western Europe, and China to varying degrees in the decades ahead. Japan may yet have much to teach the rest of the world. In fact, without realizing it, Japan has become a testing ground for some pretty radical economic policies. Zero interest rates? The Bank of Japan did that 20 years ago and a couple of years later introduced “quantitative easing” to the global lexicon, when it began a program of asset purchases (bonds, eventually even stocks, and real estate) that flooded a banking system with yen. Central banks elsewhere would further those adventures when, in 2008, the Federal Reserve and European Central Bank followed suit to prevent a cascading global financial collapse. With the Fed now pausing on rate hikes, the U.S. and Europe have reconciled themselves to historically low interest rates and bloated central bank balance sheets pioneered by Japan. I had a backstage pass to many of these Heisei dramas, having arrived in Tokyo in 1992 and then marrying into a deeply conservative Japanese clan, some of whom had survived the firebombing of Tokyo during the most brutal phases of the U.S. Pacific campaign. 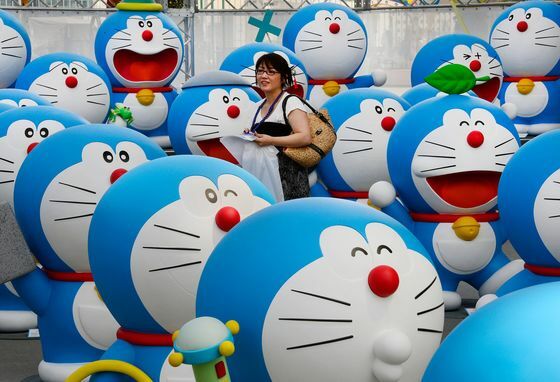 Yuki and I raised two daughters in a vast, efficient, and amazingly safe greater Tokyo area of about 38 million people, collecting our share of Doraemon, Anpanman, and Hello Kitty artifacts along the way. I attended Christian-style weddings in fancy hotels with actors posing as priests, and highly ritualistic Buddhist funerals in which the bereaved solemnly used chopsticks to place the cremated remains of the departed into an urn. Over time I came to appreciate the subtle paradoxes of life in Japan: the embrace of modernity, technology, and global fashion, without losing sight of the enduring cultural traditions that marked the rhythms of the seasons, fortified a core national identity, and reached back thousands of years. This is also a society in which the center admirably holds in time of crisis, whether that’s the horrific nerve gas terrorist attack by a millennial cult in 1995 during the Tokyo subway morning commute or the massive Tohoku quake and tsunami, followed by the Fukushima Daiichi nuclear reactor disaster, that killed almost 16,000 people in March 2011. Nor have long-term economic problems—Japan, too, has dying industries, urban poverty, and rural communities in despair—engendered misplaced nostalgia about some glorious past or created deep class divisions. Income inequality has increased in recent years, but it’s nothing like the imbalance in the U.S. CEOs here don’t make 271 times the pay of the average worker as they do in the States. Middle-class Japanese families—the average annual household income is about $46,000—have access to affordable, universal health care, excellent primary schools, and quality public universities (Japan has more Nobel Prize winners than any other Asian country) where tuition is typically $7,000 per year. Japan has the tightest job market in decades, with an unemployment rate of 2.5 percent. True, too many younger workers are locked in low-paying, part-time work. Then again, they’re not saddled with crushing student debt. The economic outlook for younger Japanese will turn on how well Prime Minister Shinzo Abe and future governments deal with one of the biggest natural demographic collapses in human history. Japan’s population, which plummeted by 448,000 in 2018, is on track to dip below 100 million, or 21 percent from current levels, by midcentury. It’s a geriatric nation, with more than one-fourth of Japanese older than 65. All of this adds up to a massive drag on productivity, potential output, and income growth. Yet while artificial intelligence and the rise of the machines are unnerving labor unions and politicians in the West, they’re being embraced here. 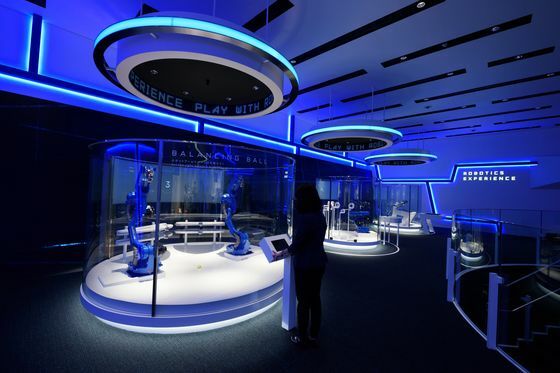 Japan is already one of the most robot-integrated economies in the world, and companies such as Fanuc, Kawasaki Heavy Industries, Sony, and Yaskawa Electric are leading exporters of industrial robots. A big market is opening up at home for machines that handle routine service jobs, help older workers stay on the job, and meet demand for an expanding elder-care market. Already, baggage handlers at Japanese airports wear exoskeleton robotic devices to aid with heavy lifts, robot receptionists welcome guests at Tokyo department stores and hotels, and bots will be dispatched at the 2020 Summer Olympics in Tokyo to help fans find their seats and carry food and drinks. At the same time, there’s been a quiet overhaul of Japan’s once tightly controlled visa policy, with an influx of workers from China, Vietnam, and the Philippines resulting in a doubling of foreign workers in Japan, to 1.5 million, over the last five years. That’s still relatively low by global standards, but Japan is closing the gap with the 3 million-plus overseas workers in the U.K. and Germany. Beginning in April, Japan will for the first time start issuing visas for unskilled guest workers in the hope of attracting more than 345,000 additional overseas workers by 2024. It will take some combination of deeper automation and immigration to boost Japanese productivity figures, which have lagged those in the U.S. and Germany the past two decades, according to the Organization for Economic Cooperation and Development. Japan’s enormous government debt burden, which the International Monetary Fund pegs at 236 percent of gross domestic product, is less of an immediate concern. Most government bonds are held domestically by the public and financial institutions, and because of the prevailing low interest rates, debt payments are not a burden. Japan’s companies, meanwhile, are flush with cash. And Japan’s debt profile looks far less risky than that of China. Credit problems there are being powered by excessive lending in the unregulated shadow banking sector, acquisitive private conglomerates, and behemoth state-owned enterprises, which represent 40 percent of the country’s industrial assets and create almost 20 percent of urban employment. Chinese President Xi Jinping has been trying to rein in profligate spending to prevent a systemic financial crisis, but when the economy starts to slow too much, his government has tended to open up the spigots again. Most of China’s credit problems are in the corporate sector. The total government, household, and corporate debt of $30 trillion, about 259 percent of GDP, is on track to hit 327 percent of GDP by 2022, Bloomberg Economics estimates. In other words, China, like Japan, faces big debt challenges, but from a relatively weaker position. It’s heavily reliant on debt-fueled growth to keep its economy in high gear, and curbing the money flows between state companies and local governments is the third rail of Chinese politics given that so much Communist Party power is tied to controlling the key levers of the economy. With its per capita GDP about one-fourth of Japan’s $41,000, according to IMF data, China is a long way from making the transition to the rich-nation status Japan achieved decades ago. China’s military buildup certainly poses a national security challenge to Japan, particularly if the U.S. were ever to retreat from its role as a defense bulwark in Asia. Nor has Beijing, or Seoul for that matter, forgotten Japan’s wartime and colonial past in Asia. That said, Japan is scarcely a vassal state incapable of defending itself if it needed to. In the cultural arena, Japan has gone on the offensive. Back in 1988, only one year before Akihito ascended to the throne, an anime film called Akira was released, inspired by a popular manga series. Set in a post-apocalyptic and futurist neo-Tokyo in 2019, Akira follows the travails of a cyberpunk biker gang and its struggles against greedy politicians and scientists. It’s widely considered to be one of the best animated films ever made and helped renew global interest in Japanese anime. Later would come the brilliant and spectacularly successful works of animator and director Hayao Miyazaki, whose Spirited Away, released in 2001, won an Academy Award and is the highest-grossing film ever in Japan. 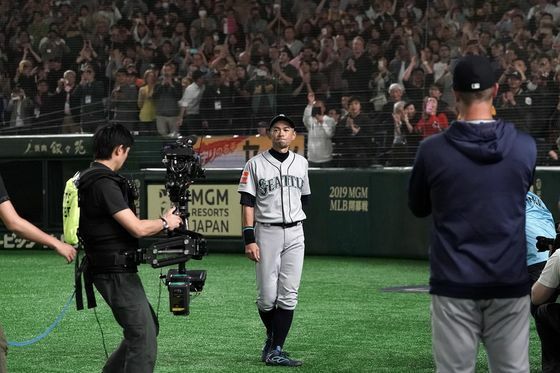 The Heisei years also saw a massive exodus of Japanese talent: Baseball players Hideki Matsui, Hideo Nomo, and Ichiro Suzuki enjoyed huge success in the U.S., and Japanese fashion designers Issey Miyake and Yohji Yamamoto expanded their influence. And as the 2020 Olympic Games approach, this land of ancient temples, rugged mountain ranges, hot spring resorts, and Mount Fuji is now one of the world’s fastest-growing travel destinations, according to the United Nations World Tourism Organization. Perhaps the Heisei era wasn’t such a bust after all. A scorecard analysis of GDP growth misses a larger reality: Japan is rich, Japan works, and Japan matters. Whatever the country’s economic setbacks, Japan’s cultural influence around the globe almost certainly expanded during the past 30 years. So as my family prepares to leave Tokyo for a new life in London, the beating heart of another island nation, I leave this remarkable land with a sense of gratitude for bearing witness to such interesting times.